In this book the author focuses on the search for a global legal framework that covers activities affecting archaeological and/or historic valuable shipwrecks in waters beyond national jurisdiction. Three regimes are investigated as to their applicability: The Law of the Sea Convention 1982; the system of admiralty law as adapted to these particular circumstances and used by US courts; and the UNESCO Convention for the Protection of the Underwater Cultural Heritage. When analysing the relevant articles of the regimes, additional critical commentary is provided. 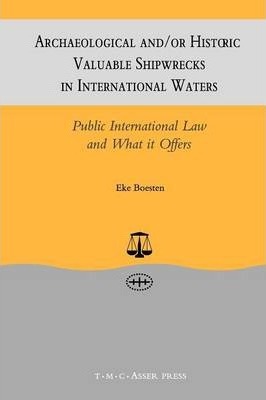 This volume provides policy-makers, commercial explorers, archaeologists, scholars and students with an overview of the relevant, existing public international law as well as questions that need to be solved in order to regulate activities affecting archaeological and/or historic valuable shipwrecks. In addition, it may serve as a guide for the interpretation of the UNESCO Convention for the Protection of the Underwater Cultural Heritage.